Celebrated filmmaker and photographer Cheryl Dunn turns her lens on the pioneers and masters of New York street photography. Dunn profiles artists spanning six decades, including Bruce Davidson, Mary Ellen Mark, Jill Freedman, Jeff Mermelstein and Martha Cooper, revealing that these shooters are as colourful and unique as the subjects they’ve relentlessly documented. 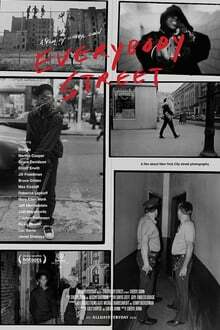 Everybody Street explores the passion that compelled Freedman to spend years riding in squad cars during the most violent years in the city; Bruce Gilden’s drive to thrust his camera in people’s faces to capture a moment; and Martha Cooper’s dedication to chasing graffiti on passing subway cars in the Bronx. The film is a definitive look at the iconic visionaries of this often imitated art form.